Valery Dzutsati is a Ph.D. Candidate in Political Science at Arizona State University and Senior Non-Resident Fellow at the Jamestown Foundation, Washington D.C. His research interests include ethnic and religious conflict, political violence, state secession, and the political evolution of the North Caucasus, Russia and countries across Eurasia. Valery is native to North Ossetia where he worked as a journalist. 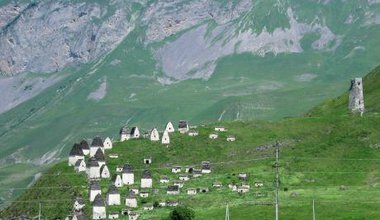 From ‘outpost’ to ‘outpostism’ and then to ‘outposter’, North Ossetians are feeling increasingly alienated from the Russian centre.